The advent of technology trends such as Internet of Things (IoT), mobile, and cloud has transformed the way organizations manage their warehouses. “Technology is getting more and more sophisticated in warehouse management space,” says Karen DeWolfe, VP of Sales, interlinkONE. 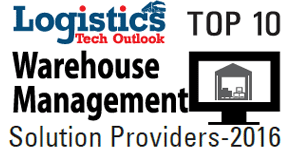 Though IoT is bringing physical and electronic world together and integrating warehouse technology, many organizations continue to utilize obsolete technology, owing to their lack of knowledge and expertise in terms of adopting advanced Warehouse Management System (WMS). In pace with the current technology transformation, a Wilmington-based company, interlinkONE provides a next-generation multi-tenant warehouse management software solution that enables organizations to manage multiple warehouses, serve various clients, and fulfills warehouse orders. “We help organizations replace outdated technology form the internal IT department with our scalable SaaS (Software-as-a-Service) solution,” says Karen. The solution operates efficiently with no hardware or software to maintain or install; it ensures security of the entire IT infrastructure. interlinkONE helps organizations save significant time and money as it is nimble enough to make enhancements and add features to software applications. The company allows software modification as per the needs of end-users. The company’s flagship product, ilinkONEpro enables clients to maintain inventory, products, and electronic documents, and handles complex business challenges with ease. “ilinkONEpro has standard functionalities that an organization expects to see in every warehouse and inventory management systems,” says Karen. ilinkONEpro’s digital asset management system maintains all the electronic files and helps the organizations to communicate with their customers. It also has content management application, e-mail distribution system, and print solution. “We have the ability to integrate all of the organization’s information in one place which can easily be leveraged into other platforms,” says Karen. Moreover, ilinkONEpro allows organizations to track and process inventory in real-time, while enabling them to monitor warehouse activities and order history.Its automatic replenishment functionality assists organizations to maintain their inventory levels and project the quantity of inventory that is required in the future. “We help clients gain competitive advantage by optimizing each and every step of the warehouse process,” says Karen. Since ilinkONEpro is delivered as SaaS, it can be integrated into an overall marketing platform. interlinkONE helps clients save millions of dollars annually by providing ilinkONEpro software that optimizes a series steps involved in warehouse fulfillment process. To exemplify, one of interlinkONE’s customers, a Fortune 100 firm wanted a solution that can help them save huge amount of money annually on disposing unused material or scrap away. Additionally, the customer also wanted to restart warehouse process with the new raw material that came into the warehouse. Through ilinkONEpro’s automatic replenishment calculators, the customer could receive the estimated quantity of inventory that they should manage on shelf to maintain inventory levels. Since the customer could review the past usage of the inventory at a regular interval, they could easily estimate the requirement of the inventory instead of choosing an arbitrary replenishment amount the way they did prior to using ilinkONEpro software. After effective implementation of the solution, the customer was capable of viewing inventory levels and usage of the stock in the past and saved millions of dollars a year by managing inventory more effectively. In the days to come, the company promises to stay ahead of the market and deliver new and enhanced products. “We know what’s coming and we know how to stay ahead of the growing competition,” concludes Karen.